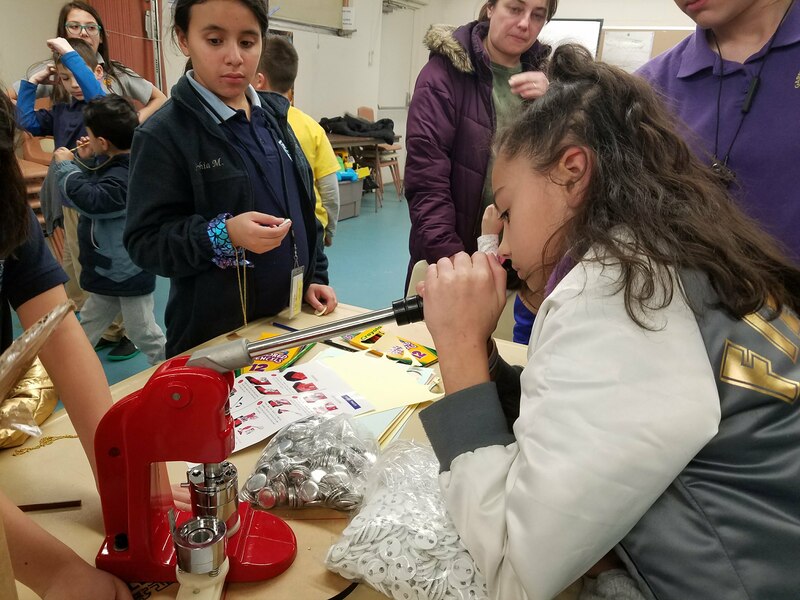 The Garfield Public Library celebrated New Jersey STEM Month by participating in NJ Makers Day on March 9th. The participants got to see our 3-D Printer in action, designed and made buttons with our button maker, and made their own military dog tags! The event’s goal was to get our community excited about STEM activities and to introduce them to our 3-D printer. The event was a success because patrons left wanting to have a makers day through out the year. They were also interested in having the 3-D printer available to them a few times a year to make their own designs. NJSPN helped make this day as successful as it was by allowing us to purchase more supplies for our 3-D Printer and to buy a rolling cart to store our printer and its supplies.